I don’t do as much card making as I used to, but I still like to keep a stack of handmade cards ready to go in my desk drawer. You never know when you will want to send someone a handwritten note! 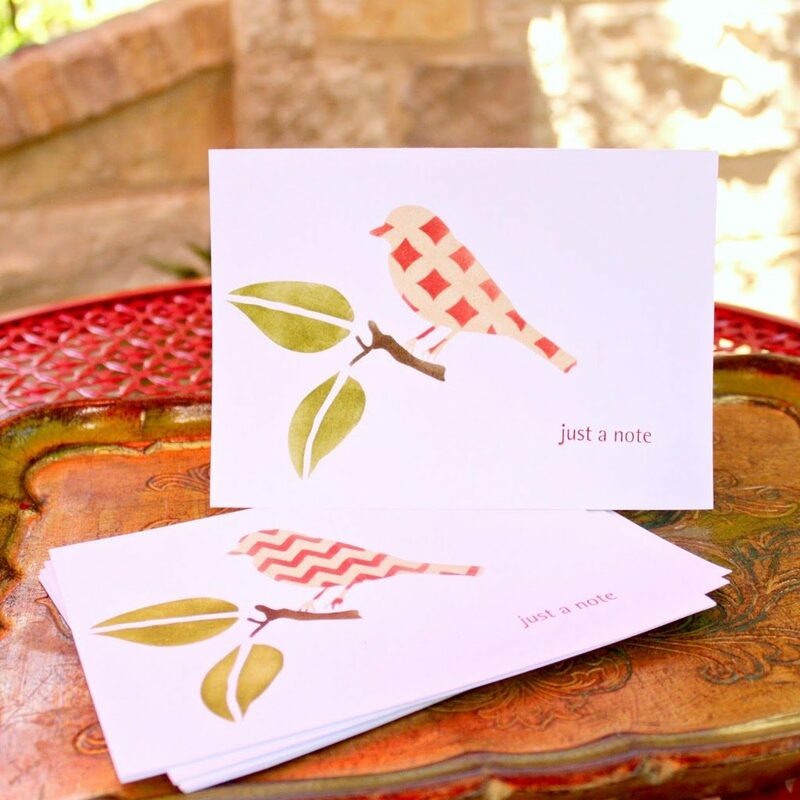 These stenciled note cards are beautiful and easy to make. 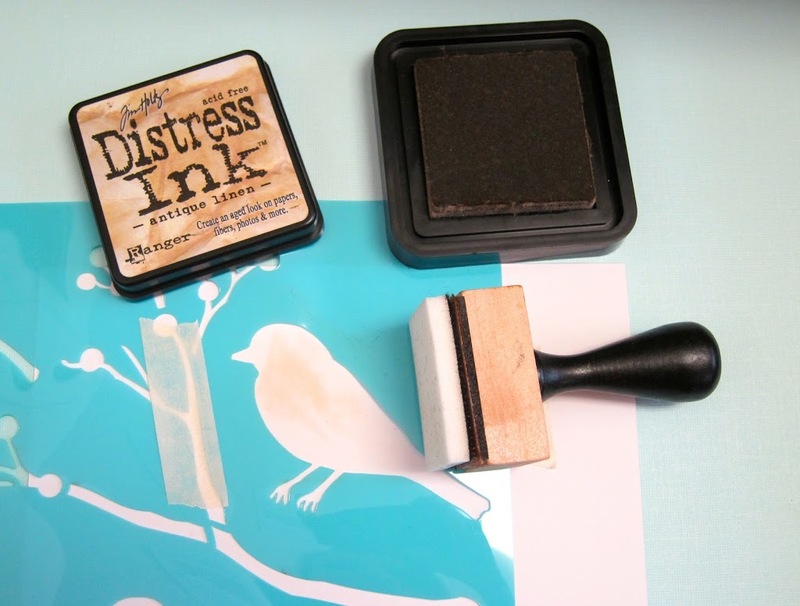 With stencils and ink you can quickly make several matching sets so you’ll have plenty of cards on hand when you need them! 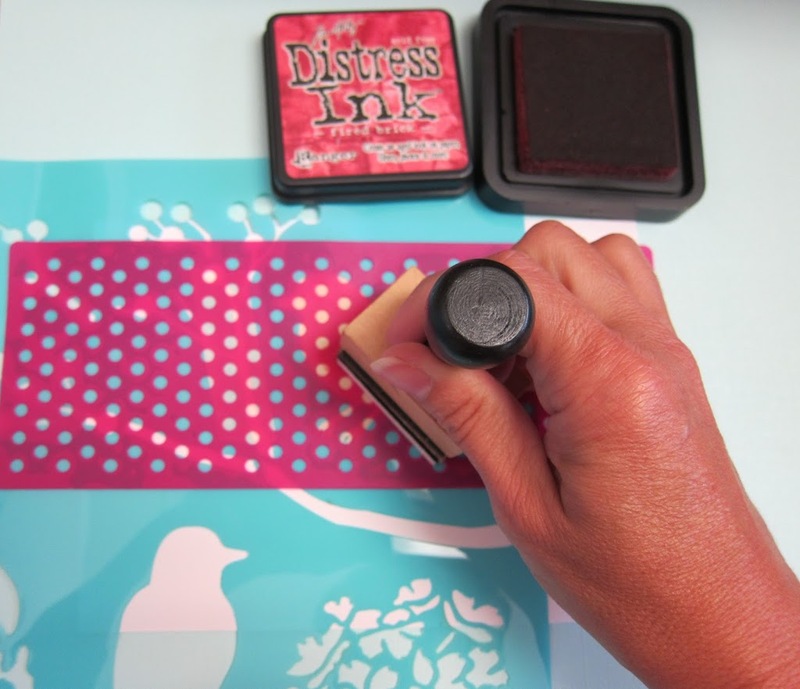 Place the bird stencil on the card and hold it in place with stencil tape. Use a light colored ink and the blending tool to fill in the shape. 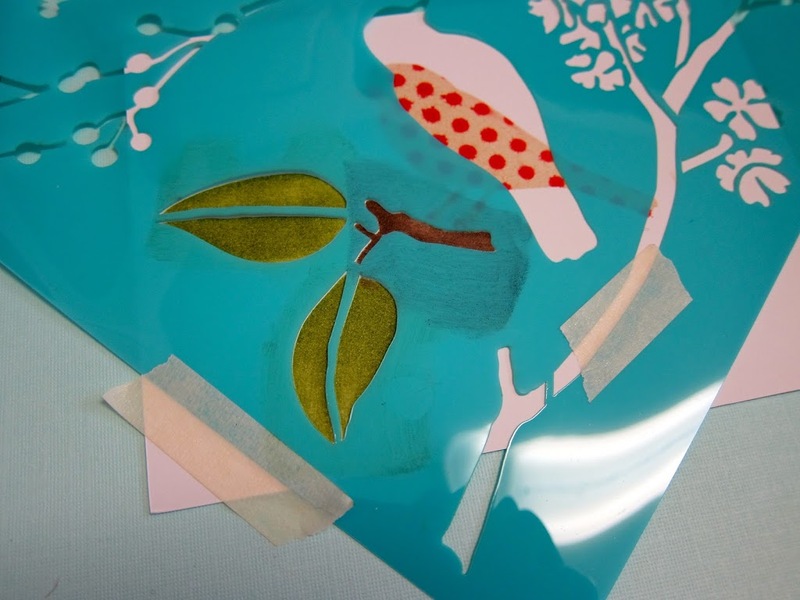 Place the patterned, adhesive Mod Podge stencil on top of the bird stencil. Use the blending tool to add a darker color to the bird. Remove all the stencils. Add the branch and the leaves using the stencil, blending tools, and inks. Finally, use phrase stamps to add a message to the card. 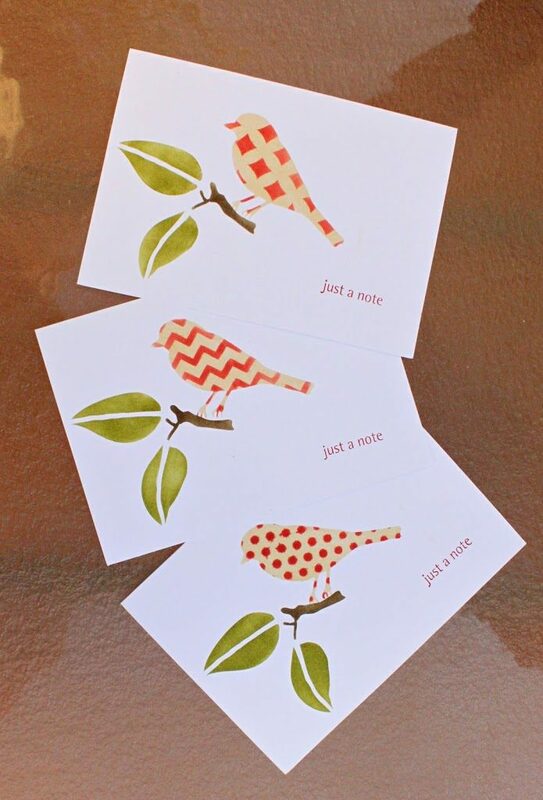 I added “just a note” to my stenciled note cards. Once you’ve made a set, you can tie it up with a pretty ribbon for gift giving! These would be fun to make in other designs like with a monogram, an apple, or a name. 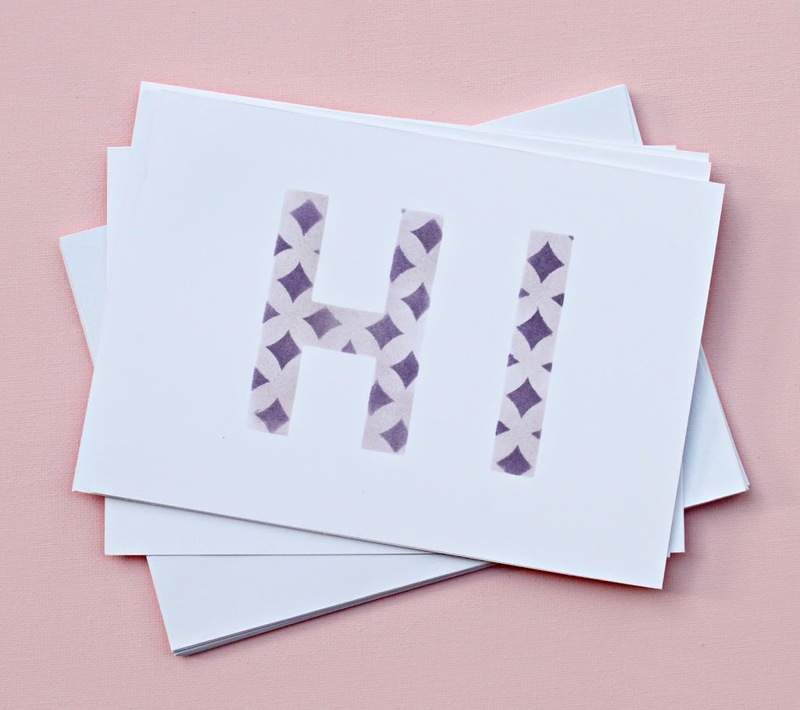 I made a second set with the word “hi” as a simple, all occassion card. I used the same technique described above. Note card sets would make great gifts for a recent high school graduate heading off to college. Pre-address and stamp the envelopes as a gentle reminder to keep in touch with grandma! 🙂 And while you’ve got your supplies out, make a set for yourself. 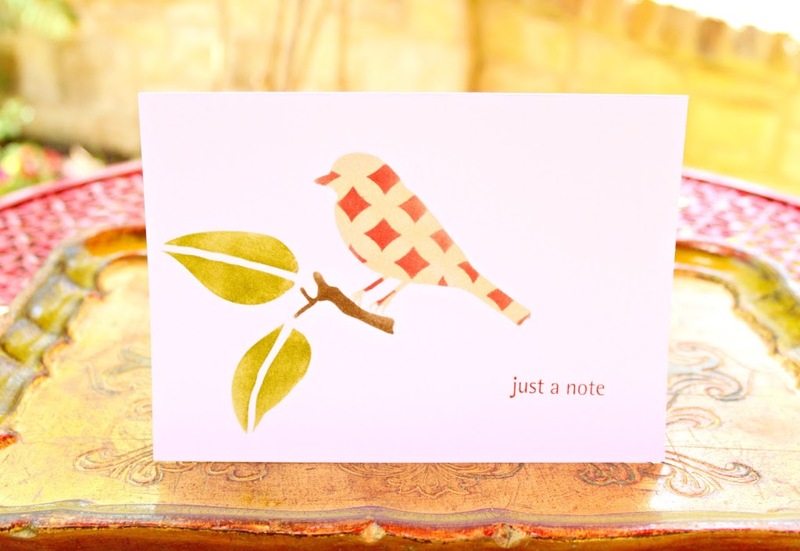 Yes, e-mail is faster, but there’s no denying the charm of a hand written note card!